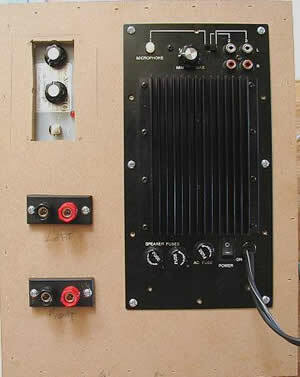 This amplifier is manufactured for HTP International. The model number listed on the amp is 25/25w 3.0 HTA 2000.This is amp is mounted on a plate that measures 10.25" x 4.875". 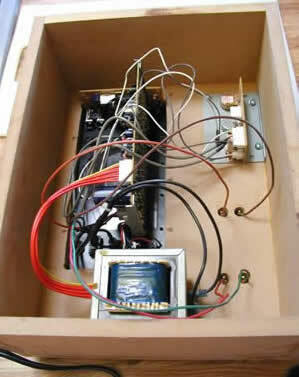 It utilizes the Sanyo STK4141V Stereo Amplifier chip. The amp is complete and requires only the addition of a 28vct/32vct transformer (which we stock) to power it. The amp features two pairs of RCA inputs plus a microphone input with a selector switch to choose the desired input. A Mic mix pot is included to balance the mic input to the RCA inputs.A volume control, balance control and a bass boost switch are also included on this amp. Stated power output is 25w per channel into 8 ohms. STK4141V spec sheet available upon request. This could be the foundation for a killer karaoke machine or possibly a great set of amplified computer speakers. 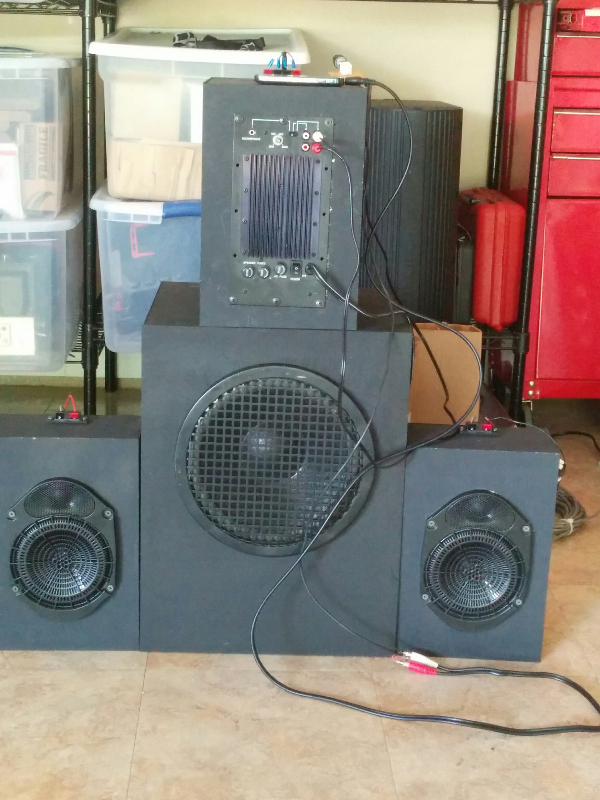 Here is a link to project information for this amp. 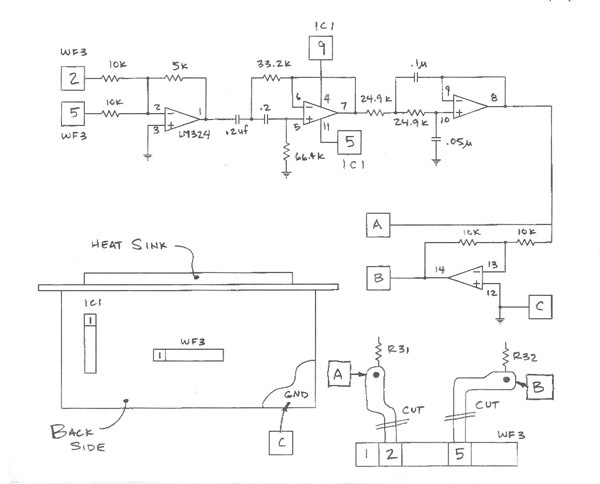 Check out these instructions for bridging the Dual 25 sub amp. These modifications include a low pass filter of 90 hz and a high pass filter of 17 hz. The circuit can be built using a small external board. The LM324 IC has been utilized for this project. Other OP amps can be used. Two cuts to are required on the amp board. This design was supplied by Bruce Gibson. Thanks Bruce. I found that the remote PCB that had the volume, balance and boost control added hum so I used hard drive header jumpers on the main amps PCB and reduces the noise and eliminated the wires. The Cerwin Vega 6.5's and a pair or tweeters would make a great small system for a garage.